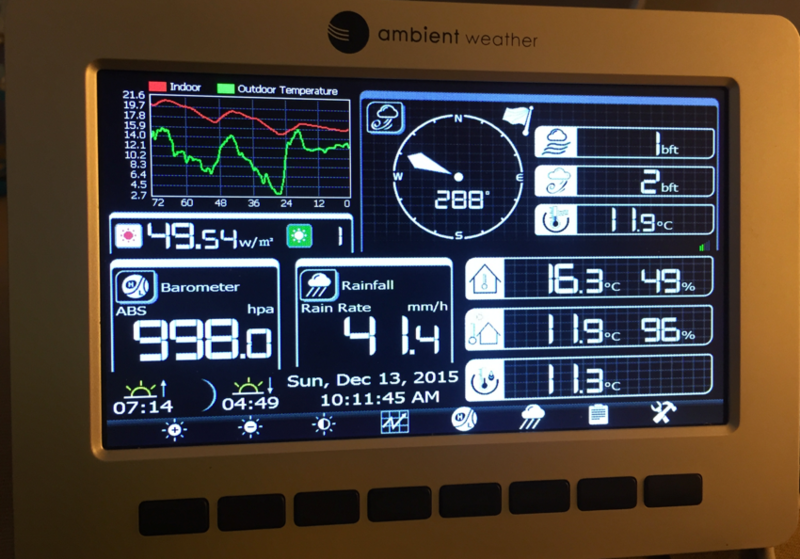 I’m a bid of a data geek, which has caused me to buy the Ambient Weather Station on Amazon (aff link). This way I can track and measure the different data points it collects about the weather in my back yard. As 2016 is expected to see more rain fall due to the El Niño effect, I started to track the daily rain in my back yard with the weather station. The data is easily displayed at the station’s display, which is connected with the external station through wifi. 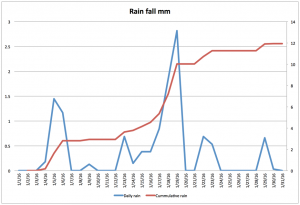 In the picture below, you see the rainfall rain rate on December 13 at 41.4 mm per hour. This was quite the waterfall out of the sky. 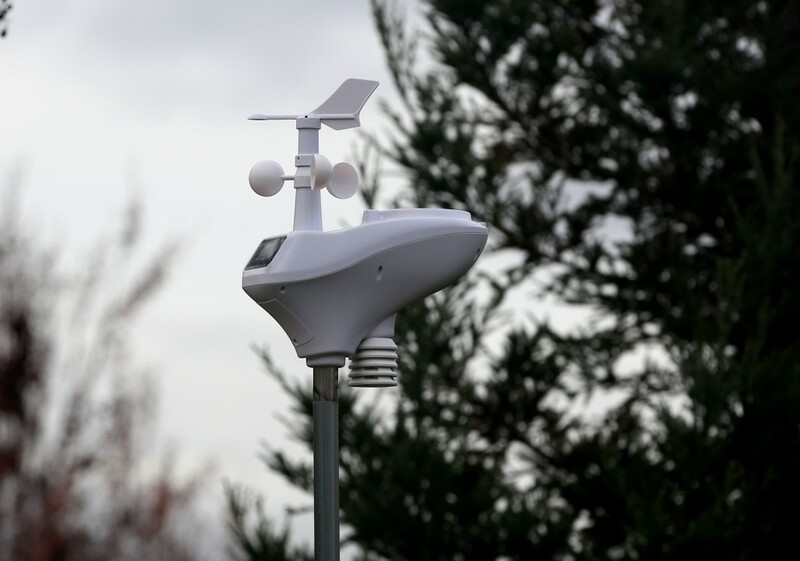 Next to rain, you can track the temperature, wind speed & direction, humidity, air pressure and solar radiation strength. The solar radiation meter is very helpful for us to explain our kids why they need to put sunscreen on, while it looks like the sun is not that powerful from inside the house. 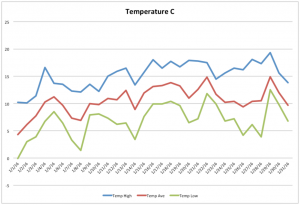 All data can be downloaded in a spreadsheet, which makes for easy tracking of monthly rain fall like the graph below showing daily rain and cumulative rain, or the low-, average- and high temperatures for the month of January 2016. As I’m from Europe, all metrics are displayed in metric system units; mm rain fall or temperature in Celsius.